When it comes to accuracy and connectivity, Polar H10 heart rate sensor is the go-to choice. Monitor your heart rate with maximum precision and connect your heart rate to a great variety of training devices with Bluetooth and ANT+. With Polar H10, heart rate monitoring is more accurate and adaptable than ever. "I have been relying heavily on heart rate monitoring in my training and in my recovery for the last 5 years. The Polar H10 is even more reliable than my previous heart rate sensor, and gives the feedback I need to train and recover at my best." The most accurate heart rate sensor in Polar's history, Polar H10 is polished to the max in all aspects, and gets software updates as well. 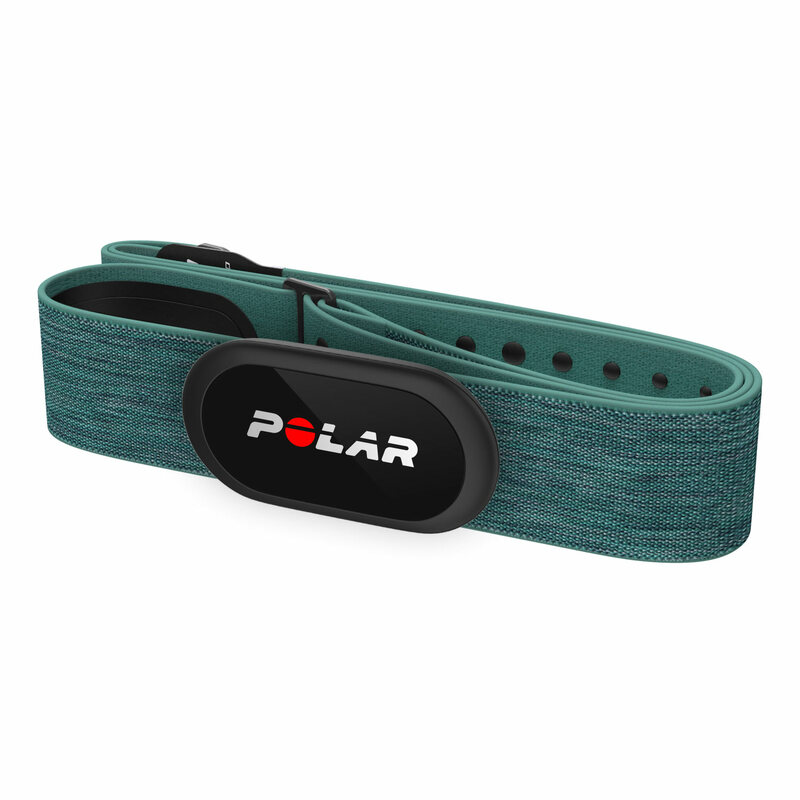 Polar H10 comes with Polar Pro strap, a soft textile strap with high quality electrodes to make sure your heart rate is measured accurately and without interference. The material is comfortable to wear, and the silicone dots and the improved buckle keep the strap firmly in place. Polar H10 keeps improving with over-the-air software updates. Top fitness apps, gym equipment, sports and smart watches and other training devices: there are tons of options to choose from when you want to see your heart rate and record your workouts. Connect your Polar H10 securely to two Bluetooth training devices at the same time: Your Polar watch + your bike computer, your favorite fitness app + gym equipment, your Polar watch + gym equipment; whatever combination best suits your workout. Connect your Polar H10 to ANT+ compatible gym equipment, cycling computers and other training devices. ANT+ and Bluetooth connections can also be active at the same time. Polar H10 is the perfect partner to many training devices. Thanks to Bluetooth and ANT+ you have a large variety of devices to connect to, as well as the possibility to connect to several devices at the same time. Polar H10 gets you the best heart rate tracking with Bluetooth and ANT+ compatible training devices. The Polar product range includes several excellent Bluetooth devices for different needs. Hook up Polar H10 with Polar Beat, Polar’s free fitness and training app, and get accurate real-time heart rate directly to your phone. Polar H10 works with many other top fitness apps, too, so you have a great many options to choose from. 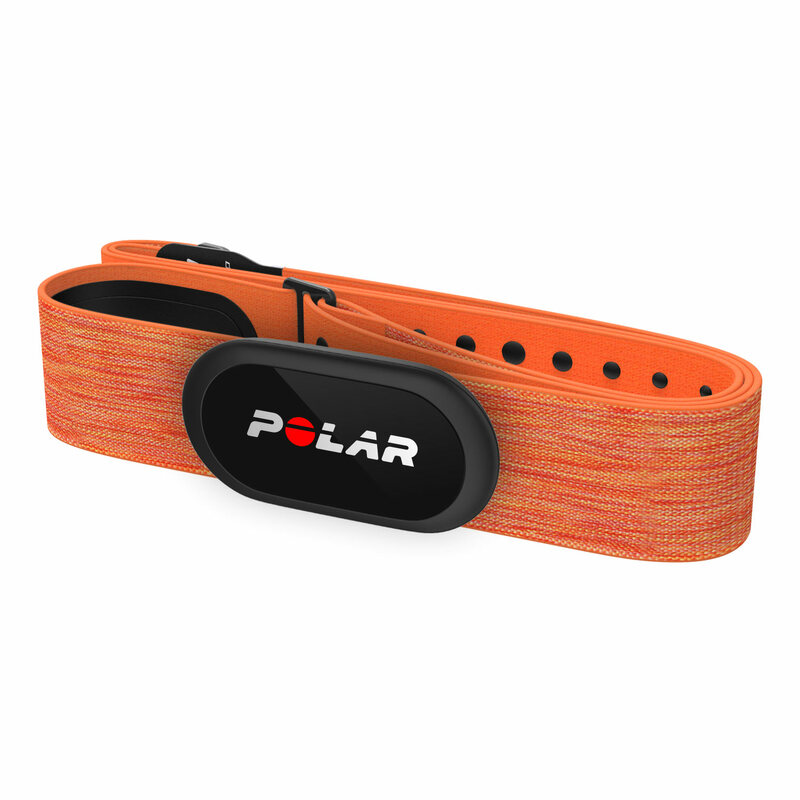 You can also track a single training session with Polar H10 alone. Just start a training session in the Polar Beat app, leave your phone waiting and get going. Widely recognized for its top precision by many sources, Polar H10 is the most accurate heart rate sensor in Polar’s history. Polar H10 is compatible with top fitness apps, sports and smart watches, gym equipment and many other Bluetooth and ANT+ devices. Polar H10 can be connected to Bluetooth and ANT+ devices simultaneously. Polar H10 has a built-in memory for heart rate data from one training session. The data can be transferred to Polar Beat, Polar’s free fitness and training app. The 5 kHz transmission makes sure you can monitor your heart rate even in water. Polar H10 keeps on improving with over-the-air software updates. The new Polar Pro chest strap is comfortable to wear with soft textile material, slip-preventing silicone dots and a secure buckle. Via mobile phone using Polar Beat app or Polar Flow app. Connector: ABS, ABS + GF, PC, Stainless steel. Strap: 38% Polyamide, 29% Polyurethane, 20% Elastane, 13% Polyester, Silicone prints.